Data on clinical outcomes for angioplasty operators in the United Kingdom is published by NICOR, the National Institute for Cardiovascular Outcomes Research in conjunction with BCIS the British Society for Cardiovascular Interventions. 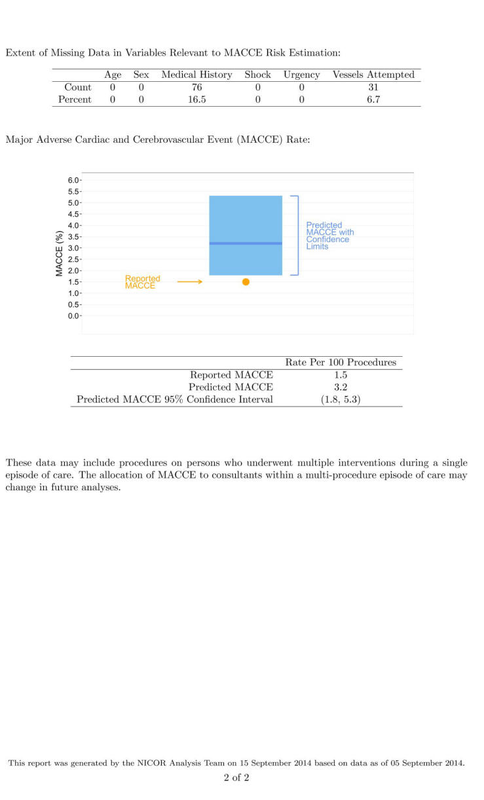 The published data includes information on case volume and type, along with the frequency of ‘major adverse cardiac and cerebrovascular events’ (MACCE). This is a figure which combines any instances of death, stroke or heart attack in hospital amongst those patients treated. The data needs to be interpreted in context and it is important to understand the types of patients who are being treated. There is a large range of case types from relatively straightforward low risk angioplasty to complex higher risk cases. Those operators who take on challenging difficult angioplasty to give the most unwell patients a chance, are likely to have some complications. Despite this, the vast majority of patients do benefit. Dr Butts is a high volume operator who undertakes a significant volume of complex angioplasty both at Calderdale Royal Hospital, Halifax and Leeds General Infirmary. This includes patients who are admitted acutely unwell by ambulance in the setting of an acute heart attack. A majority of Dr Butts cases are inpatient procedures following an acute admission. He also undertakes a range of elective angioplasty in more stable patients. 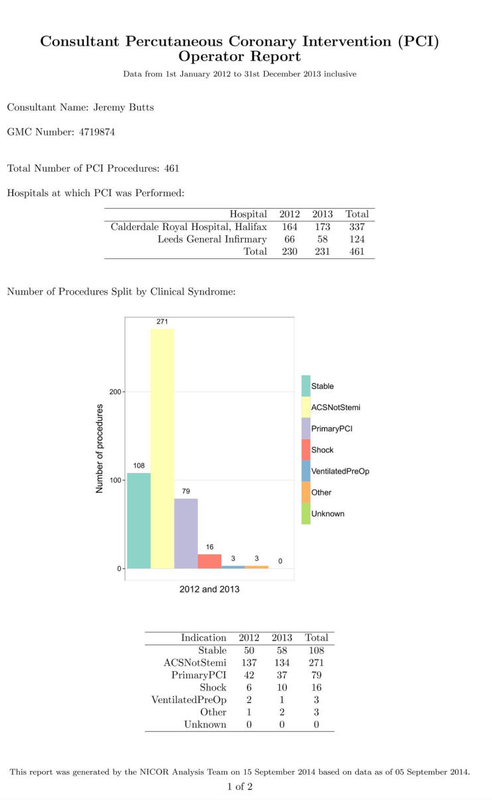 Despite the complexity of his caseload, in 2013, 98.5% of his patients left hospital without experiencing a major cardiac or cerebrovascular event. * In the same year, 100% of his patients presenting for elective angioplasty survived and none experienced a major cardiac or cerebrovascular event**. As illustrated below, a 1.5% MACCE rate is far lower than expected which is a strong indicator of safety and quality. * This includes all patients other than those that present in cardiogenic shock. Patients in cardiogenic shock usually have very low blood pressure and their heart is already failing to pump adequate blood around their body due to acutely damaged heart muscle. Often these patients present after suffering an out of hospital cardiac arrest. Many undergo a successful angioplasty procedure but unfortunately have already sustained too much damage to their heart muscle before getting to hospital. In these cases their outcome is often not determined by the procedure itself. ** Cases reviewed and assessed at the local governance meetings at both Calderdale Royal Hospital and Leeds General Infirmary.